Welcome to Stacy’s hand painted personalised wedding glasses. 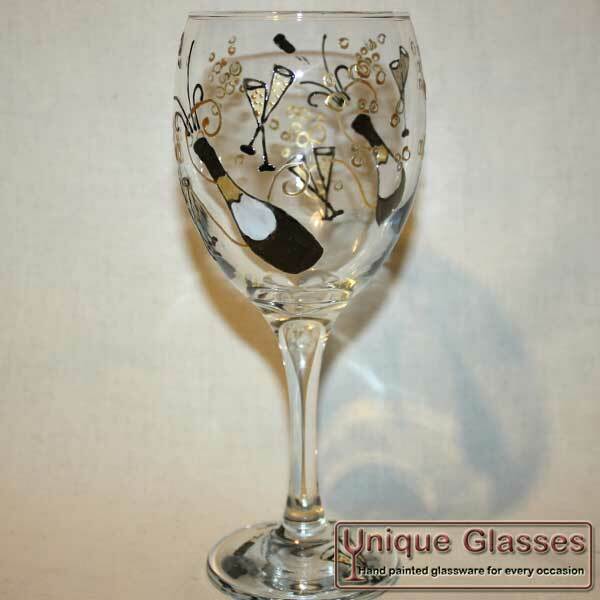 Stacy’s hand painted wedding glass range is one of our popular personalised glass ranges that we do. 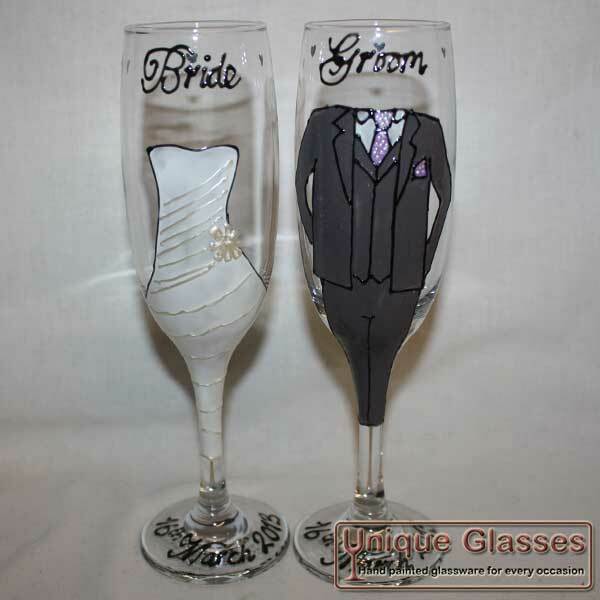 Weather you are after a pair of hand painted personalised wedding glasses for the bride and groom. 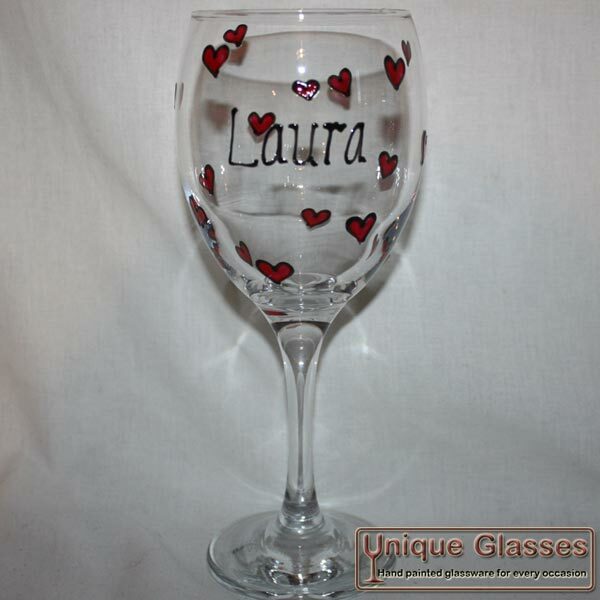 Or, a full range of personalised wedding glasses for the whole wedding party, no order is to big or to small. 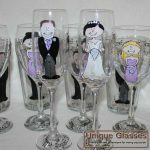 With a wide range of wedding glassware to choose from, including champagne glasses, wine glasses & pint glasses we can cater for all of your needs. We can even provide personalised hand painted wedding favours for all your guests which can also be uses as place names – CLICK HERE for more information on our wedding favour service. 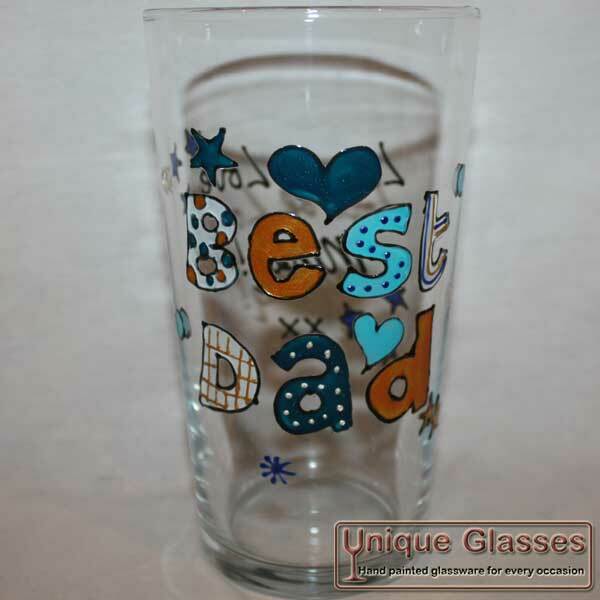 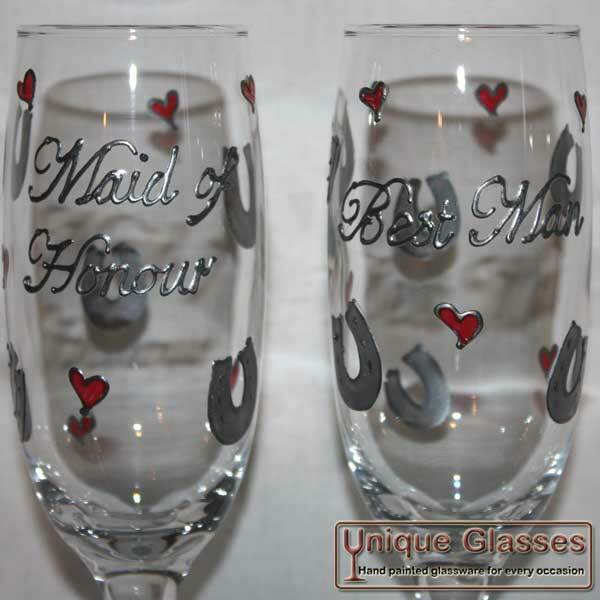 10% OFF on 10 or more personalised wedding glasses purchased. 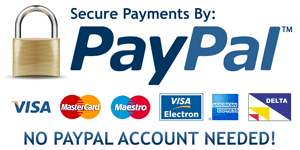 – Please contact us to take advantage of this discount. 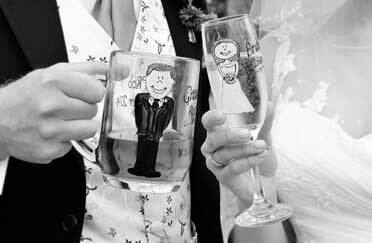 Looking for a wedding dj or wedding disco in the Suffolk area? 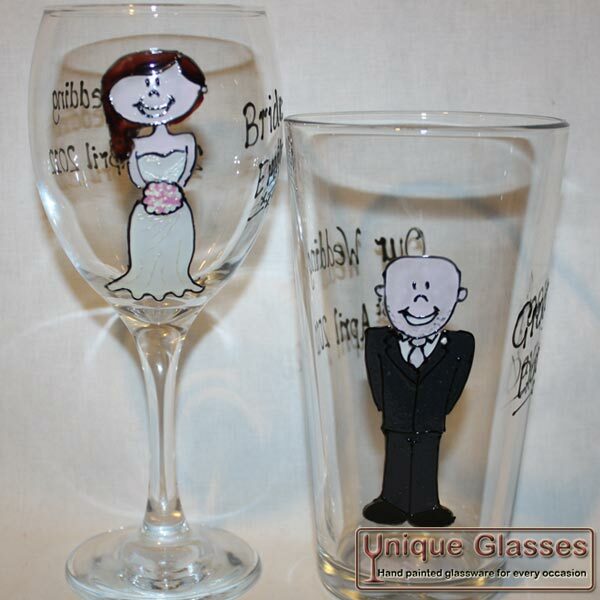 Please take a look at Supreme Sounds Entertainment who offer a range of wedding disco services.